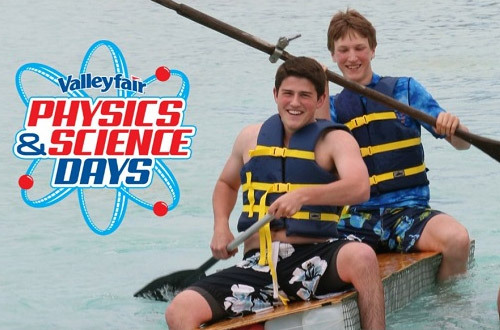 If Sir Isaac Newton were alive today, we’re pretty sure he would sign off on a physics class field trip to Valleyfair. As a renowned scientist credited with many physics principles we follow today, he would know that an innovative – and totally fun – way to demonstrate the science that deals with matter, energy, motion and force is a modern-day roller coaster. We sure have plenty of those at Valleyfair, so bring your students to participate in our specially designed physics and science educational activities. 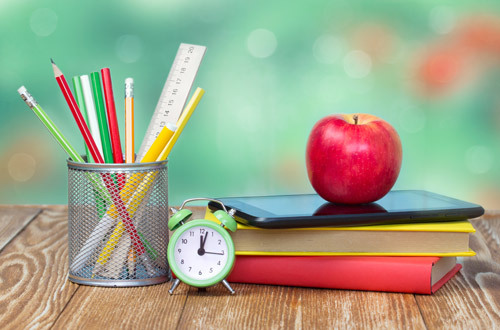 We’ve collaborated with leading teachers and consultants to develop activities and downloadable packets that can be used as a resource guide or modified to meet your current teaching requirements. Experiencing the laws of physics firsthand while having a blast can certainly work up an appetite, so add a catered meal to your Physics and Science Day to make it complete. Valleyfair partners with leaders in interactive education to deliver an impactful, hands-on STEM learning and action-packed fun opportunity. On your mark, get set, and GO at Valleyfair’s annual milk carton boat races. Students are challenged to create a boat made of milk cartons that must float in Breakers Bay Wave Pool. 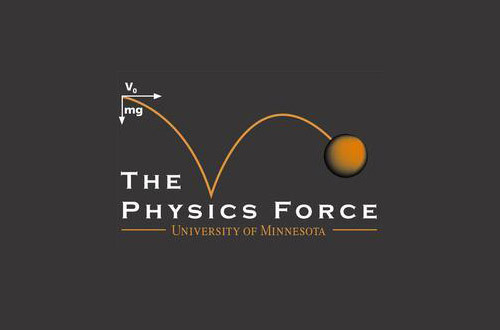 Join Physics Force as they go above and beyond with a blend of slapstick, prop comedy, and science to educate and entertain students of all ages. Watch as Jack Netland and Hank Ryan bring physics to life with grand and visual excitement. When arriving at Valleyfair, please stay in the far right-hand lane and proceed to the toll booth. Parking is free for full-size buses with 15 or more passengers (not including the bus driver). Large vans or minibusses will be assessed a parking fee. Buses must park in the designated bus parking area in the northern parking lot adjacent to pick-up and drop-off parking. At times, the bus lot can fill up; in this case, buses will likely be directed by parking lot associates and/or Security staff on where to park. If the bus is merely dropping off your group and not staying in the lot all day, your bus will need to park where buses are being directed to park at that time, unload, and then exit. At no time are buses allowed to park in or near the fire lane in front of the plaza, regardless if you are dropping off your group or simply parking. Encourage your group to take note of where the bus is parked so they may find the bus at the end of their visit. Drivers of buses carrying 15 or more passengers will receive a courtesy pass valid on the date of the event from the toll booth associate. The bus driver will need to bring the courtesy pass to Guest Services and present his or her valid CDL to redeem the courtesy pass for an admission ticket. Only one bus driver courtesy pass is issued per bus and is only valid on the day the bus arrives (date on receipt). For safety reasons, Valleyfair will only allow accelerometers that meet the following guidelines. Must be a simple-spring or horizontal accelerometer made of lightweight, non-breakable material. Simple-spring or horizontal accelerometer must be small enough to not interfere with the riders’ ability to safely ride the ride and must be secured to the rider. Riders must be able to hold on to restraints with both hands at all times. Accelerometers must have a wrist strap and have the ability to be secured for the duration of the ride. Electronic accelerometers (including phone app software) will only be permitted when used in conjunction with a data vest accessory. If your school or organization would like to supply and utilize a data vest for your students, it must be inspected and approved by Valleyfair prior to being allowed on the listed attractions. Please make your requests for approval to our sales team prior to arrival at the park. Vests must have the ability to secure the accelerometer or data device in a pocket and fastened with Velcro, a button or zipper. Vest must fit securely to the participant and must not interfere with the proper function of the restraint system. Vests must be secured on the rider before boarding the ride unit and the data device must be activated prior to the locking of the restraint. In order to facilitate the use of accelerometers and provide each rider with the safest ride possible, accelerometers that do not meet these guidelines, will not be allowed on any ride. Thank you in advance for your cooperation!